Time flew quickly and yesterday marked my second month in my new full-time job. I was able to work pretty actively on doll clothes back in March and April, but work sure took up much of my time and energy. So apologies for the lack of updates! 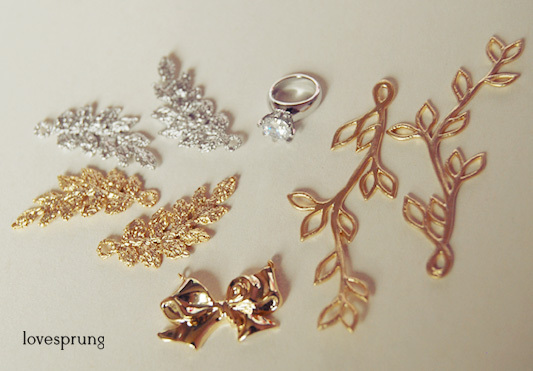 I don't get a life and natural day light for photo-taking and handcrafting. Many people had expressed interest in our tulle shorts, and we do wish to make more. After all, we've only made them in cream and blue, we have yet to touch pink and other colours. However, this round I've decided to try something more luxurious. Using lace! 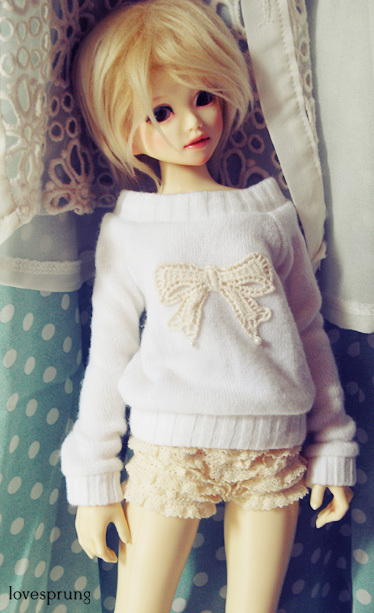 Here's Kotone, my Unoa Lusis girl, wearing the shorts with our one of a kind Ribonette sweater (psst! It's still available in our etsy shop!). I call these premium shorts. Lol. Since the lace costs much more than tulle, and to tier them up in these absolutely delectable frilly way... Ah~ Seeing how much lace this used, I quickly went to the shop to purchase a few more metres of it so this won't end up being yet another one of a kind. ^^; The SD girls get their own as well, but I guess we would be trying out another design where we use a wider lace at the top and accent with the littler ones below. So sorry for the lack of updates! Hopefully we'll put up a lovely frilly release next!